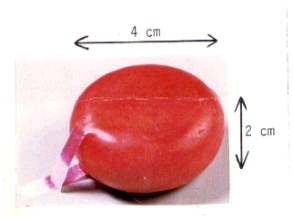 J Sainsbury, more commonly known as supermarket chain Sainsbury’s, has had success in a recent trademark invalidity application at the UKIPO against the shape of a Babybel cheese. The registration, owned by Fromageries Bel SA was registered in 1996 and specified a 3D round wax coating with the colour limited to red. The invalidity action was filed on the grounds that the colour specified was ambiguous. Trademark description: The mark is limited to the colour red. The mark consists of a three dimensional shape and is limited to the dimensions shown above. On considering the arguments, Allan James for the Tribunal rejected Sainsbury’s arguments in respect of the shape, but did accept the points regarding the colour. James held that the colour red was an essential characteristic of the mark and the colour description given was not enough to provide sufficient precision or clarity. The mark consists exclusively of a shape which gives substantial value to the goods (Section 3(2)(c)). At a case management conference held between the parties, Sainsbury’s dropped some of the claims, but later tried to restore the claims at the oral hearing before Allan James. James rejected those claims, holding that where a ground had been dropped, only compelling reasons would allow the claims to be restored. Fromageries Bel SA filed substantial evidence in response, showing the success of the Babybel product in the UK since 1981 and most notably that they held 23.6% market share for snacking cheeses as of 2016 and sold more than one billion products in 2017, together with substantial numbers spent on marketing and promotion. The UKIPO held that shape exclusions did not apply as the trademark did not consist exclusively of the shape of the goods – the colour was an important element in the mark. Furthermore, it stated the description of the mark did not determine the shade of red, and as such, the mark did not comply with case law that the colour had to include a Pantone shade. The success of the invalidation action on the basis of the colour description is not unsurprising; similar lack of clarity and precision was found in previous decisions, most notably in the Cadbury Purple case. However, as with the Cadbury Purple decision, it can be seen as harsh as the case law determining that colours should reference a Pantone shade were only decided after this mark was registered. The reasoning of the Hearing Officer was thorough, but the decision does remind all owners of colour marks, irrespective of success, reputation or market share to review all registrations of colour and shape marks to ensure that they are still compliant with current case law and to consider new filings if there are potential vulnerabilities. James was derisive of the ‘shambolic’ way that the case was handled by Sainsbury’s and only awarded costs of £200, citing ‘unreasonable behaviour’ in the way that the case was pleaded and pursued. This should act as a reminder to be clear on strategies and cases prior to filing to ensure that all parties are aware of the exact case to be pleaded. The reasoning behind Sainsbury’s invalidity action is not known – the supermarket chain may have intended to launch its own small waxed snacking cheeses and was aware that the Babybel registration would have been a substantial obstacle. However, given the high levels of consumer awareness of the product and the significant acquired distinctiveness of the product, we would not be surprised to see a fresh application from Fromageries Bel SA with a clearer trademark description and potentially further disputes between the two parties in the future.